Starts well but fizzles out. 'Thackeray' starts by setting up the premise for the lead character's 'Action-Reaction' justification throughout the film. The film shows, how the state of Maharashtra is occupied and ruled by the South Indians, Muslims, Punjabis, Gujaratis, Parsis and other non-Marathis, and are also treating Marathis very lowly in their own land. The 'Marathi Khatre Mein Hain' narrative is put forward by the film, by showing, how the outsider guests (non-Marathis and Muslims) have turned into evil, snatching jobs and food from the locals, and are also changing the landscape and culture of Maharashtra. Bal Thackeray, who is a Marathi himself, is deeply pained and affected by the ill treatment of the Marathis by the outsiders, decides to fight for rights of the Marathis. Bal Thackeray is a cartoonist in a newspaper. His boss, Selvarajan, who is a South Indian (the film shows his name plate on the desk multiple times, but slightly out of focus, so that it doesn't come across as deliberate), asks him to go soft on the corrupt in his cartoons. 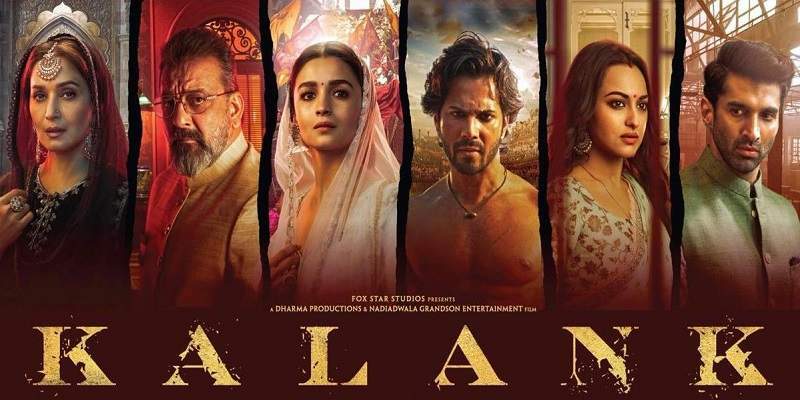 The film then shows that people everywhere in Mumbai are all South Indians, Muslims, Punjabis, Parsis and other non-Marathis, and Marathis are nowhere to be seen. You hear people speaking in south Indian languages in the background. All the business establishments belong to non-Marathis, and only Idli and Dosa are available in the restaurants of Maharashtra. And the name boards everywhere are in Tamil, Kannada, Malayalam, Hindi and Urdu! Maharashtra is under invasion by non-Marathis and Muslims, and needs to be saved! So the basic set up is ready for Bal Thackerayji to play identity politics. It is time for "Utao Lungi, Bajao Pungi" (changed to "Bajao Pungi, Hatao Lungi" in the film); meaning - Lift the lungi and play the pungi! (pungi is the sound instrument played by mouth, used by the snake charmers); so, does it mean, lift the lungi and charm the snake? Who knows! The lead character spits fire in his speeches, pushes a sense of victimhood in the minds of the people, and gains ground politically, day by day. But the rise of Bala Saheb Thackeray is not narrated in a convincing manner, and is rushed through. 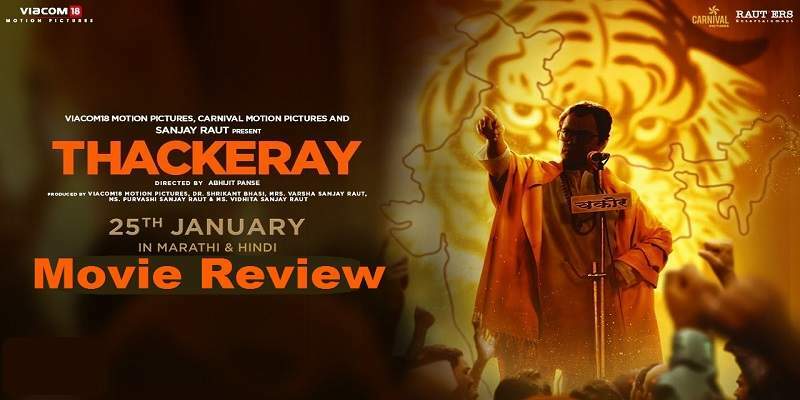 Bal Thackeray's growth from a no-namer cartoonist to the powerful leader of the Shiv Sena, is showcased very swiftly, because the film is very eager to show the things he did afterwards in his political career. Hence, it feels very unconvincing when the other characters in the initial part of the film, say that he now controls Maharashtra. The rise to prominence and power feels like a brief yet lengthy introduction, because the film gives more screen time for the relationship with his wife, in an attempt to show him as a kind-hearted family man, and less time to his political activities that helped him gain prominence. May be the film didn't want to show the exact ways and paths he took to grow in politics. The first half of the film is in black-and-white, and the second half is in color. The movie tries to tell many things in little time, feels like an attempt to cover everything in 140 minutes. It tries to focus on many different things and aspects that don't combine well. As a result, the film is not free flowing and ends up being a highlights show, specially the second half. If you are not familiar with Maharashtra politics and political leaders, you may not be able recognize certain characters, segments, and the point the film wants to make in a few scenes, which can make the film a tedious watch. The film is only engaging in parts, and it gets boring at times, as the film is not made for the viewing pleasure of the audience. It is made for being an effective publicity material for the party that produced this film. But it doesn't completely succeed even at that, and falls short. Any person with brains, should be able to see through the film, and cannot hail the lead character after finishing watching the film. The film can even serve as an exposé on the Shiv Sena, for those who don't know about the Sena's foundations and core beliefs! Thackeray is an unabashed justification and glorification of Bala Saheb Thackeray's views and acts. But even there, the film is not really honest, and comes across as a disservice to the man, who openly and boldly aired his views and violent ways. The film tones down his views, as if it is self-conscious and doesn't completely believe in those views and ways to be correct. The movie is also an irony galore. The film also oscillates between being a sincere biopic and a political cleaning agent, and ends up being a confused product. Bal Thackeray definitively deserves a more honest and a bolder biopic. However, the film neatly and strikingly showcases the dressing evolution of the lead character. Cartoonist Bal Thackeray is a shirt trouser wearing simple man. When he starts his organisation, Shiv Sena, he is a coat-wearing neatly groomed gentleman. When he is the rich powerful leader fighting for the rights of the Marathis, he is a beer-sipping pipe-sucking flamboyant man, wearing shiny clothes and cool glasses, sitting on his tiger-print sofa. When he adopts Hindutva as his political issue to become the saviour of Hindus, he is a man in saffron robes wearing rudraksh, and sits on a saffron-clothed chair. The film is not a compelling drama that it could have been. Better writing and tighter editing could have made the film more engaging. After a certain point, the film is more of a highlights package than a fluid coherent motion picture. It is a 140 minute long advertisement, produced by the Shiv Sena MP, Sanjay Raut. The film perfectly fits the basic definition of advertising. Overall, Thackeray is an ineffective highlights package, that just aims to justify and glorify the man.